The Undergraduate and Graduate Student Advisory Boards meet monthly with the Dean during the academic year. In addition to serving as liaisons between the Dean and the student body, they also vet the Hixson-Lied student grants. If you are interested in serving on one of the boards, please contact Sara Fedderson for the Undergraduate Board or Acting Associate Dean Stanley Kleppinger for the Graduate Board. Daniela Chavez is a sophomore from Grand Island, Nebraska. She is pursuing a double major in Art and Art History. Although still unsure of her emphasis, she is considering drawing, ceramics or printmaking. With this she plans to attend graduate school to earn an M.A. in Art History and work as a museum curator in the future. She is very passionate about raising awareness of the arts in the public and this is why she is a member of the Sheldon Museum Student Advisory Board. She is also involved in the University of Nebraska–Lincoln Honors Program and is an American Reads Tutor. In her free time, Daniela enjoys going on walks, discovering new music and eating ice cream. She is hoping to contribute to the Student Advisory Board by embracing the diversity and unique talents and skills of each student in the college. Hey there! My name is Alexis Hagstrom, and I come from small town Ord, Nebraska. I am a freshman pursuing my undergraduate degree dual majoring in art and psychology. With this degree, I plan to focus on art therapy in graduate school. I am involved in a myriad of activities on campus including the UNL Honors Program, Alpha Xi Delta Rho Chapter, and various clubs and organizations on campus. You can find me sipping unhealthy amounts of coffee while scrambling to finish my projects on time, cheering on the Huskers, or playing with my team on the softball field. I strive to make known the benefits of the arts, and all the creative insight the college has to offer. I am the eleventh on my mother’s side of the family to attend Nebraska, and I am proud to call Nebraska my home. Hi, my name is Ferris Mohd. I’m a junior pursuing a Bachelor of Fine Arts with a concentration in Graphic Design. Currently, I am producing sports videos for the University of Nebraska–Lincoln. I am also spreading awareness about rural transportation through a non profit by creating PSA’s. I want to pass on to others the same amazing opportunities that I’ve received while studying here. Fun fact: I owned an elephant named Abbu growing up. My name is Izoebelle Schneider, but most people know me as Zoe. I am from the tiny town of Hay Springs, Nebraska, in the far northwest corner of the state. I am a senior here at the University of Nebraska–Lincoln, and I am working towards my BFA with my emphasis being in photography. I previously attended Western Nebraska Community College in Scottsbluff, Nebraska, where I earned my Associates of Art. I am very active here on campus, I love to go to all of the events that are held here and of course I rarely miss a Husker football game. I am also in the UNL Fine Art Photo Club. When I’m not on campus, you can find me at home playing with my kittens, out somewhere in nature with my friends, or back home playing with my niece and nephew. I am beyond excited to be included on this board. I think I can bring a different view and opinions into our conversations that I think is important to have. Hey all! My name is Malin Hayden, and I am a sophomore Directing and Management/Performance option within the Johnny Carson School of Theatre and Film community. I have graduated from Greenbrier High School in Evans, Georgia. My family is military, allowing me to have more than one home. I have been blessed with the ability to be a part of 20 shows both in tech and acting. Returning to the board this year, I hope to bring optimism and a sense of community to the Hixson-Lied College. When I am not in the theatre, people can find me drawing, doing photography or belting show tunes. I am very ecstatic for the upcoming year! My name is Parker Reil and am currently a sophomore studying Film and New Media at the Johnny Carson School of Theatre and Film. I was born here in Lincoln, but spent most of my life in Ogallala, a small town in western Nebraska. Ever since I was a kid, I was involved in theater and dreamed of continuing my education at Nebraska. Once I learned that there was a film program, I knew I had to apply. These are exciting times for the Carson School and the HLCFPA, and I look forward to continuing my work with student government and developing my communication and leadership skills! Hey there! My name is Hang Yuan, but most people know me as Voyage. I am a Junior pursuing my undergraduate degree dual majoring in Film Studies and Theatre – Film & New Media Production. I've always been a lover of movies, of cartoon animation and of pretty much everything that exists in the world of film. I really interested in exploring the possibility of combining new technology and art together. If you have any questions, feel free to ask me and I will answer them to the best of my ability. Hi! My name is Michael Zavodny, and I’m from the tiny town of Malcolm, Nebraska. I’m a sophomore theatre performance (acting) major at the Johnny Carson School of Theatre and Film. I’m very active in the theatre community here on campus. In addition to performing in several shows with the Nebraska Repertory Theatre, I’ve also performed in films for Cinema 16, and I’m involved in Masquers. I also serve as the undergraduate student representative for the Recruitment and Outreach Committee at the Carson School. I was thrilled to spend last summer as an apprentice with the Commonwealth Shakespeare Company of Boston, providing support for the mainstage shows, and performing in supplemental shows around the greater Boston area. I’m excited to represent my classmates on the SAB during these exciting times at the Carson School and the HLCFPA! Hello! My name is Cooper Creal, and I am a sophomore from Lincoln. I am currently pursuing my Bachelor of Music degree in vocal performance in the Glenn Korff School of Music. On campus I have been involved in Pitch, Please! a cappella, The University Program Council, Varsity Men's Chorus, University Singers and UNL Opera. Outside of the university, I actively volunteer with a non-profit organization called Launch Leadership, and I also work at The Mill Coffee and Tea. In my free time, I like to drink coffee (good thing I work at a coffee shop! ), try out new vegetarian and vegan recipes and obsess over the British Royal Family. I am so excited to represent my colleagues and friends through this great opportunity in the Hixson-Lied College. Skyler Dykes is a junior in the Hixson-Lied College of Fine and Performing Arts, majoring in music and minoring in business and French. A proud “Husker-Hawk,” Skyler was born and raised in Topeka, Kansas. 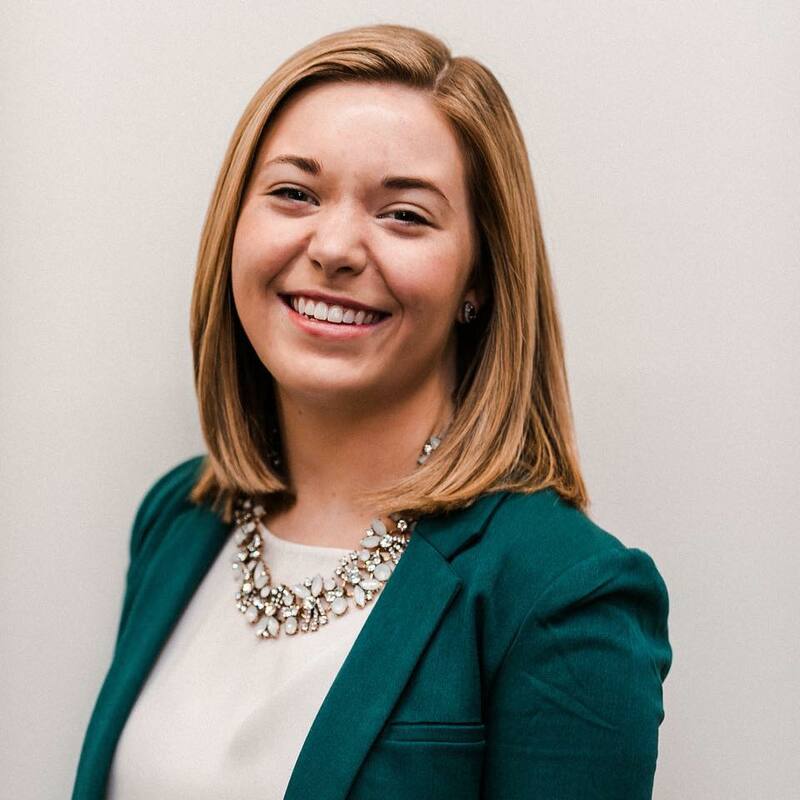 Within the Glenn Korff School of Music, Skyler is involved in All-Collegiate Choir, Sigma Alpha Iota (International Women’s Music Fraternity) and UNL Opera. In addition, she serves as an Ambassador and as the college’s ASUN Senator. 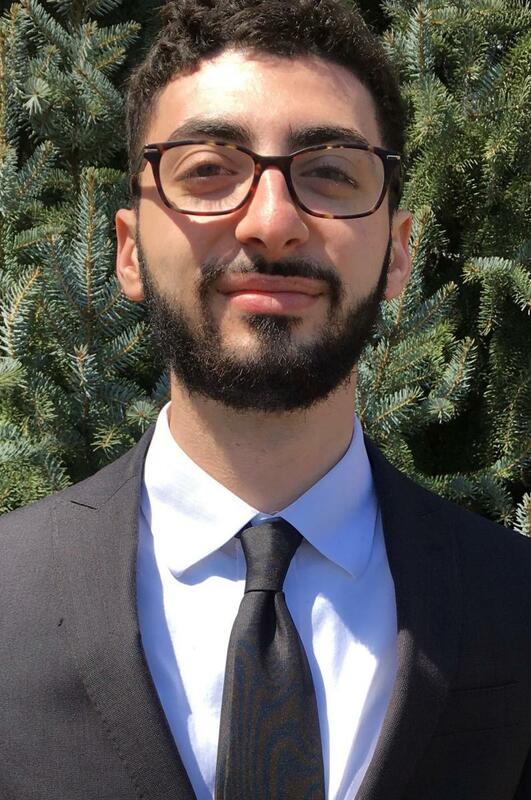 On campus, Skyler works at the Lied Center for Performing Arts as a Volunteer Coordination Intern and for UNL Learning Communities as a Peer Mentor. Skyler also enjoys volunteering in the community for Lincoln Literacy, where she teaches a weekly English class to English Language Learners. Upon graduation, Skyler hopes to pursue a dual degree Juris Doctorate and Masters in Arts Administration. Feel free to contact Skyler with any Hixson-Lied questions or concerns you would like addressed at SAB meetings! Hello, all! My name is Abby Kurth, and I am from Bettendorf, Iowa. I’m currently a junior in the Glenn Korff School of Music, pursuing a Bachelor of Arts in Music with an emphasis in vocal performance and a minor in theatre. Here at Nebraska, I have been involved with the Cornhusker Marching Band, University Singers, Vocal Jazz, UNL Opera, German Club and Horn Ensemble. I also work at the Lied Center for Performing Arts as an Event Coordination Intern and am a member of the Lied Center Student Advisory Board. In my free time you’ll find me cooking, making Spotify playlists, playing board games or watching movies at the Ross and Grand Theatres ($5 Thursdays are a must!). I love our college and am so thankful for the opportunities it gives our students. I’m quite excited to serve on the Student Advisory Board! Jonah Payne is a sophomore percussionist in the Glenn Korff School of Music, pursuing a degree in music education. He was born and raised here in Lincoln. 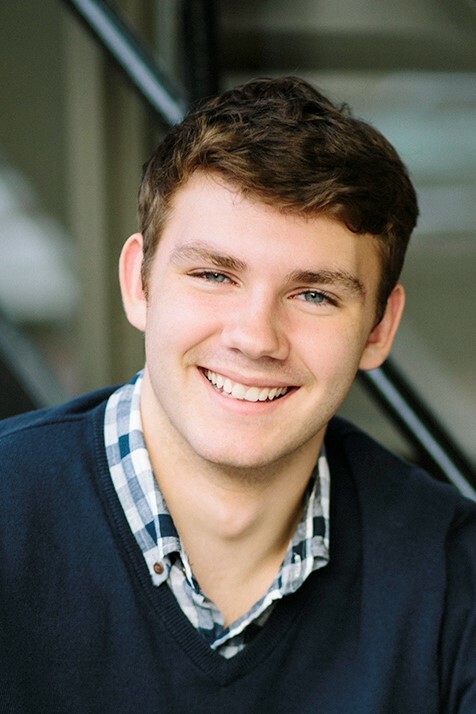 Jonah has participated in a variety of music ensembles at Nebraska such as the Percussion Ensemble, the Cornhusker Marching Band, the Big Band, the Symphonic Band, the Varsity Men's Chorus and Big Red Express. Outside of the university, he spent this past summer participating in the Spirit of Atlanta Drum and Bugle Corps as a vibraphonist. Besides music, Jonah is part of the UNL Honors Program and serves on the executive board of Students Together Against Cancer (STAC). In his free time, he loves to play steel drums, jam with other musicians, listen to music and explore nature! He is looking forward to his time on the Student Advisory Board and wants his fellow students in the HLCFPA to reach out to him with any concerns they would like to be addressed at the Student Advisory Board meetings! 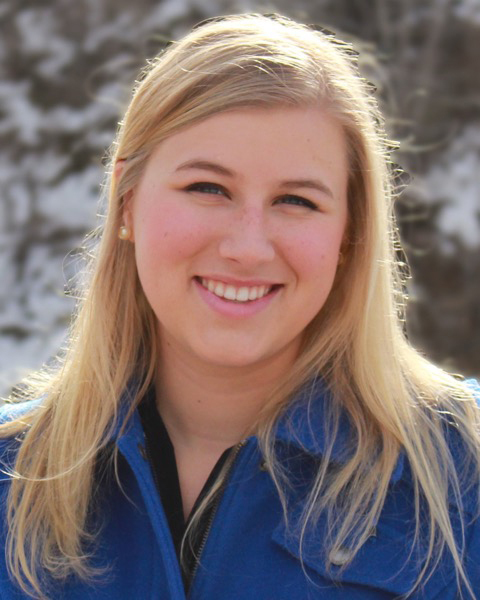 Madeline Reddel is a Sophomore Music Education major from Omaha, Nebraska. She has been a member of University Singers, Vocal Jazz, Woman’s Chorale and Big Red Singers. This summer she volunteered as a vocal mentor for the educational program “BluesEd,” a counselor for “Omaha Children’s Choir,” as well as a volunteer for Lincoln’s annual “Jazz in June” events. Madeline continues to seek opportunities performing jazz and blues by participating as a vocalist in local jazz bands, and was selected to represent the Blues Society of Omaha at the 2018 International Blues Challenge Youth Showcase in Memphis, Tennessee. Outside of music, she is a member of Kappa Delta Pi chapter and was her pledge class representative for Fall Slate Elections. This is her second year on the Hixson-Lied Student Advisory Board serving this term as "Academic Distinctions and Awards" committee chair. She is excited to grow as an artist through the board and promote the arts to the Lincoln Community! Christopher Askew is a first year M.A. student in the School of Art, Art History, and Design, focusing on the history of Greek and Roman art and archaeology. A native of Suffolk, Virginia, he attended the University of Virginia where he received his Bachelors of Arts in both History and Art History with a Religious Studies minor. Afterward, he attended the College of William & Mary’s Post-Baccalaureate in Classical Languages for two years to learn both Ancient Greek and Latin. In the past Christopher has worked as a museum intern at Fralin Museum of Art and conducted archaeological fieldwork in Greece with the Athenian Agora Excavations. His academic interests include Ancient Greek vase-painting, iconographic studies, clothing and adornment studies, ancient social history, and the archaeology of ancient religion. Terry Ratzlaff is a first-year, Master of Fine Arts candidate in the School of Art, Art History, & Design with an emphasis in photography. Since receiving his Bachelor of Arts degree in 2007 from the Art Institute of Colorado, Terry has worked mainly as a freelance editorial photographer in Denver, Colorado. He has received commissions from Vanity Fair Magazine, Bloomberg Businessweek, The New York Times and The Financial Times. He was recently named Flash Forward 2018 Top 100 emerging photographers. He is incredibly excited to be living and learning in Lincoln for years to come! Adam R. Jezl-Sikorski is an M.F.A. candidate in the Johnny Carson School of Theatre and Film for stage design with an emphasis in lighting design. Fresh from Lewis University, he recently received his Bachelor of Arts in theatre this past May (2017). While an undergraduate, his designs have been recognized by the Kennedy Center American College Theatre Festival on multiple occasions while placing as a KCACTF Region III semi-finalist for his work in 2015. Jezl-Sikorski is an Eagle Scout and a recipient of a Hixson-Lied Fellowship. Grace Trudeau is a Master of Fine Arts candidate in the Johnny Carson School of Theatre and Film for scenic design. She received her Bachelor of Arts in theatre from the University of Kentucky in May 2017. During her undergraduate career, she was involved in multiple productions as scenic charge artist and assistant designer. Grace spent a year post graduation working as a scenic charge artist at the Ocala Civic Theatre in Ocala, Florida. Her favorite shows are “Dear Evan Hansen,” “Nine,” and “Angels in America.” She is a recipient of a Hixson-Lied Fellowship and Chancellor Fellowship. Catherine Sharp is a first year Doctor of Musical Arts Teaching Assistant at the University of Nebraska-Lincoln studying trumpet performance with Dr. Darryl White. She earned her Bachelor of Music degree in trumpet performance in 2016 from Southeast Missouri State University and her Master of Music degree in trumpet performance in 2018 from Western Illinois University. Catherine was actively involved in several ensembles including wind symphony, jazz band, orchestra, student chamber groups, and marching band during her undergraduate and graduate careers. 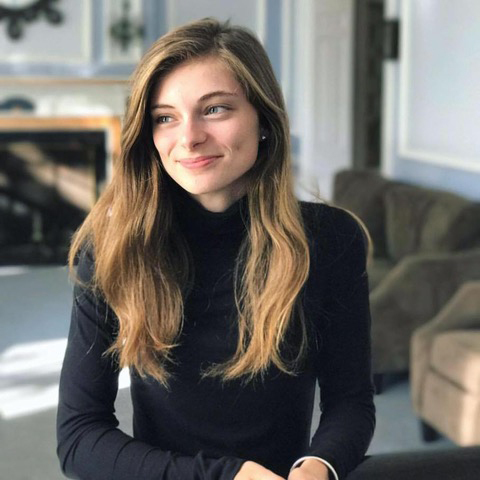 Catherine has also competed in several state and regional MTNA (Music Teachers National Association) competitions including the Missouri Young Artist Competition and the Regional Young Artist Competition, receiving second and third place during three years of her undergraduate career. Catherine has been trained in several musical genres and styles. As a graduate assistant at WIU she played 2nd trumpet in the LaMoine Faculty Brass Quintet and played second trumpet in the Quincy Symphony Orchestra. In 2017, she was a winner of the WIU Concerto and Aria Competition and won third place at MTNA, held at Central Michigan University in MT. Pleasant, Michigan. Currently, Catherine teaches music classes at UNL as part of her Teaching Assistant duties and participates with the orchestra/wind ensemble and trumpet studio. Catherine enjoys teaching private trumpet and piano lessons to students of all ages in the Lincoln area. She performs regularly around the Lincoln community for churches, orchestras, chamber groups, and other social events. In the future, Catherine hopes to continue to perform professionally as she earns her DMA with the end goal of teaching trumpet at the collegiate level. Shiana Montanari is currently pursuing her DMA in clarinet performance at UNL. She performs regularly in the University Symphony Orchestra, Philharmonia Orchestra, Wind Ensemble, and Graduate Chamber Music program, and she maintains a small private clarinet studio. Montanari earned her BA in clarinet performance from Fort Lewis College in 2011 and her MM in clarinet performance from the Univeristy of Nebraska-Lincoln in 2015. She hopes to teach clarinet and other instrumental music courses at the college level upon the completion of her doctoral studies.